Psychology is the brainchild of Utah-transplanted Brit singer/songwriter Colin Rivera. Hailing solidly from the alt-pop movement, Rivera nested in London to craft Psychology, preceded by several stunning career collaborations, with artists Chvrches and Mark Ronson and producers Daryl Bamonte of Depeche Mode. Rivera’s Psychology project is more than mere fruits of a brilliant resume. It is timely, taut and transformational. Opening with a riffy yet ambient “Insomnia,” this 10-track album is atmospheric and anticipation-building with strong pop melodies and hooks. “Freak” picks up the pace and delights with subtle tinges of Rivera’s accent creeping through and speaking to the shared liberation of being “a freak like me.” The expansion and contraction of each track evokes images of fluorescing sea creatures fluttering through the blue with sudden bursts of glittery propulsion. One moment the listener is energized, the next lulled gently into a soft meditation. “Whispers” offers that same electronically influenced vibration with a rock edge, even verging on a post-punk sound. “Heart” is a track somewhat lost amid its cohorts, feeling vaguely fatigued and something of an afterthought B-side. 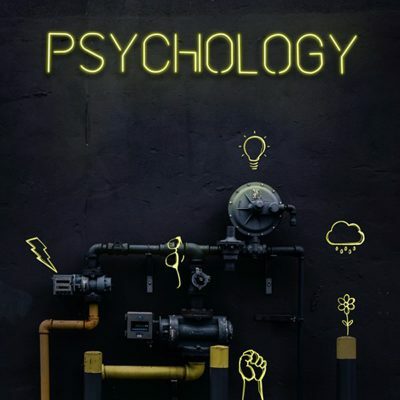 Psychology ends competently with the rhythmic and slightly shimmery soundscapes of “Hope” and “Sleep,” proving that Rivera’s mind is effective machinery for the vision of the album.